I hate to say this, but the best word I could use to describe Nagomi is - nice. I am not the type of person who like to praise things using the word 'nice'. To me, that's the word to use when you can't fault anything but there is really nothing special to make an impressionable memory. 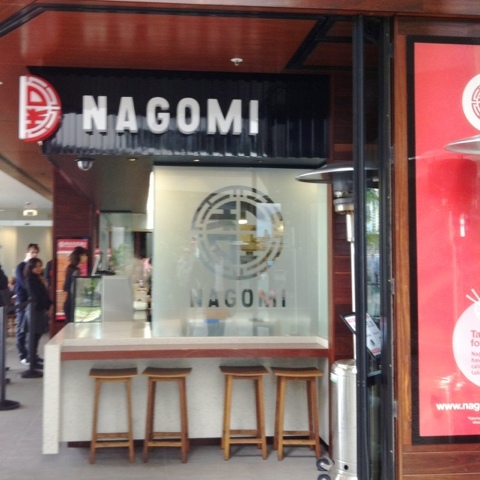 Having tried out so many restaurants and eateries in Brisbane (especially in Brisbane CBD), what Nagomi offered is really not that different to other westernized Japanese take-away. Fair enough, the view of the restaruant is quite delightful - overlooking the Brisbane Rivers. I am quite fond of sitting at the restaurant and space away at the view for quite a while during lunch hours. the food offered isn't too bad either. You get gyoza, salad, miso soup,edamame and the main (I went for teriyaki chicken in this case) which do feel you up rather nicely. 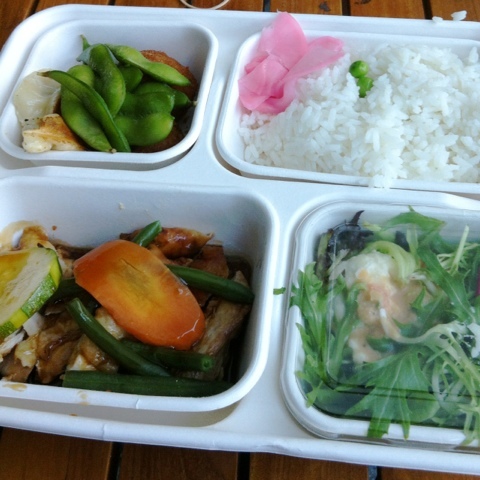 And given that the whole bento box is priced at $12.90, I do feel that I had my money's worth. The service is quite efficient - didn't have to wait for long (which was a nice bonus). the taste of the food is not exceptional but it is not too bad. I felt that improvements were definitely possible for the Gyoza and in regards to the teriyaki chicken, the porportion was a little bit small in comparison to the amount of rice given. Direction: Exit Central Station, cross the Anzac Square. Go down the tunnel and through the post office square. Cross Queen St and go through the post office building. Cross the road, and go through the garden path of St. Stephen's Cathedral. Turn left once you hit the street and you would be able too see the Eagle Street Pier. Nagomi is just on the corner of the array of restuarants.